Escape from Age of Monsters is about to get bigger, badder, and better. 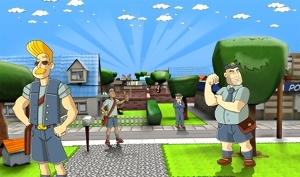 Ayopa Games is proud to announce that the 1.1 update for the visually stunning endless runner now available for iPad, iPhone, and iPod touch. – Brand new flyby items to unlock: enable these powerups and they will appear as pop-ups in game. Upgrade to increase their power. – New extra lives: The baby monsters have defected! Now you can get a baby Yeti or Alien as an extra life and have up to six lives! – New player-activated powerups: Use them at the start of each building to give yourself an advantage. – Double Turbo and Turbo Heaven: If you can stay in turbo mode long enough, you get to Double Turbo for a sweet 3x multiplier. Stay even longer and Turbo Heaven gives you a whopping 5x multiplier! – New buildings: brand new buildings for you to jump between! To top it all off, we’re also offering both the standard and HD versions of the game for FREE when the new update hits. So now there is no reason not to experience the awesome running gameplay of Escape from Age of Monsters. Of course, we’re very appreciative of the early adopters who helped make Escape a success when it first launched. So those who already bought the game will be awarded with over 20,000 coins worth of in-game boosts and powerups, including bonus lives, all new flyby items already unlocked, and some new player-activated powerups already in their stash (that amounts to roughly $5 of IAP that we’re gifting existing players). A new Slide to Play podcast has posted online, including a great chat with genius developers of the upcoming werewolf-comedy-puzzle-adventure, MacGuffin’s Curse. Andrew Goulding and Ben Kosmina talk about balancing puzzles, storytelling and much more. Head over to Slide to Play now and hear the full scoop for yourself! We’re at the Game Developers Conference in San Francisco this week! We have been busy meeting new developers and press and have seen some awesome stuff! Joining us at the conference are the developers of W.E.L.D.E.R, Dungeon Crawlers, MacGuffin’s Curse and recently the released Mailmen. Stay tuned for new and exciting announcements of our new games and partnerships. 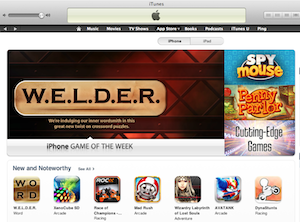 Great news for fans of M.U.S.E., which is today’s IGN iPhone Game of the Day. IGN recently sat down with Lab Rats Studio, the creators of M.U.S.E., to learn more about this upcoming 3rd-person shooter. IGN thinks it has the chops to stand out among the crowded shooter market, and suggests that it straddles the middle ground between traditional shooters like Modern Combat 3 and innovative touch action games like Infinity Blade. 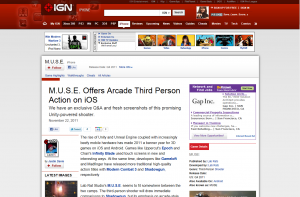 Read more at IGN Wireless. 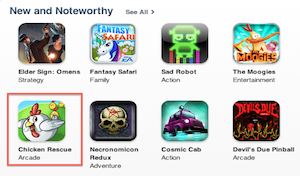 Great news for Chicken Rescue – Apple has decided to feature the game in its New & Noteworthy feature section on both iPhone and iPad! The game is performing incredibly well, with non-stop 5 star reviews and it continues to rapidly climb in the iTunes game download charts. It’s on sale currently, so grab your copy now if you haven’t already checked out this fun-packed arcade game! Official W.E.L.D.E.R. Game Site Now Live! Hello, we’re very excited to announce that our friends at Highline have launched the official W.E.L.D.E.R. 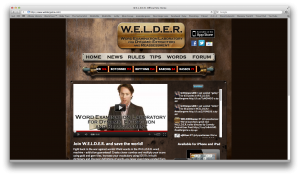 game site at www.weldergame.com. There you can keep up to date on the latest game news, suggest new words to add to the 60,000+ W.E.L.D.E.R. word library, get tips on how to improve your skills in the game, and chat with other W.E.L.D.E.R. fans. We encourage you to go there A.S.A.P. and join the movement to reverse the erosion of decent human speech.